Savor beautiful, unobstructed ocean front views from your multiple porches! 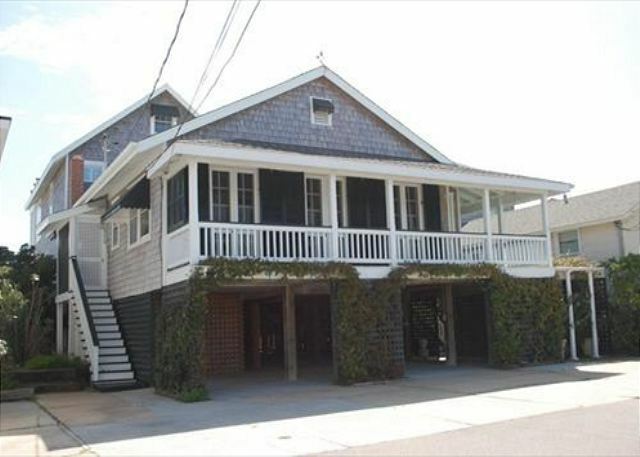 This popular 5 bedroom, 5.5 bath classic Wrightsville Beach cottage is located at the desirable south end of the island on a quiet one-way street with limited public parking. The main level features a large living room with plenty of seating, covered oceanfront porch, separate dining room, two full kitchens, breakfast area, laundry, 2 bedrooms with private baths, plus an extra full bath. 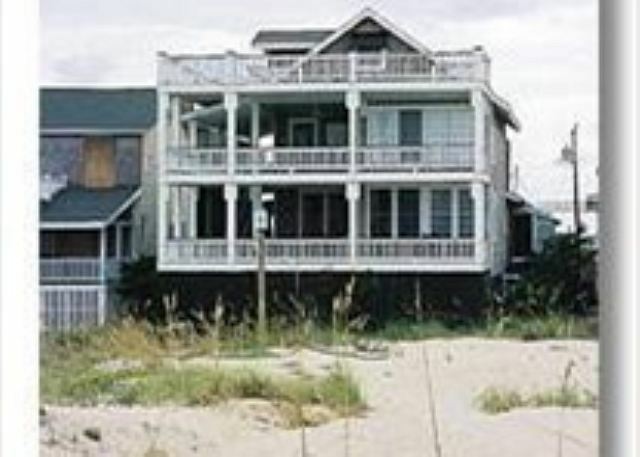 The middle level has the master bedroom that opens to a huge ocean side porch, master bath with whirlpool tub, and an additional bedroom and full bath. 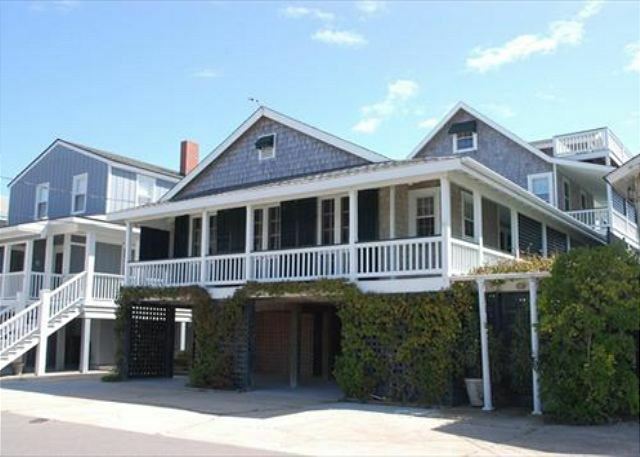 Ocean side porches are off the living room, master bedroom and guest room. Upstairs has 1 bedroom with half bath. The extremely large upper sundeck offers expansive views of the ocean and sound and is perfect for sunbathing! Come see why this cottage has many guests that return year after year! Ample off-street parking in carport beneath cottage. Strictly a family vacation cottage (no singles groups allowed). $500 Damage Deposit Required. Prime Season rates in effect for all seasons. Occupancy: 10. No Smoking. No Pets. Friday to Friday. The best. Ann is a jewel, and solves every problem with a smile. This is our eighth year of staying at this property. Obviously we like it a lot. The house has everything you could possibly need during your stay. Location is great. Property manager is the best! Wish I was on the front porch right now! Once again, for the sixth consecutive year, we had a great time at the cottage. The house is fully equipped, and we had no problems with the wi/fi this year. Another great week in Wrightsville! 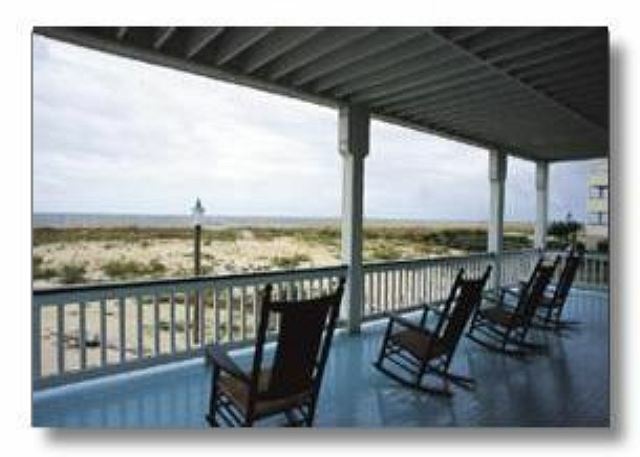 Our cottage had spectacular views of the ocean with multiple porches allowing lots of space for young and old. Perfect family cottage! Our week at Seagrass was the perfect location for our multi-family gathering. Gorgeous views of the ocean and sound were exceeded only by the sunrises and sunsets we saw daily. We were in the perfect location to experience the hatching of multiple sea turtles and to observe the excavation of the ]remaining eggs about two evenings later. Checked that off our bucket lists! The absolute perfect vacation rental for a family of 10. Plenty of room for family mingling and wonderful porches and other areas for individual or small group gatherings. Classy but comfortable furniture with beautiful coastal accessories and other accommodating amenities provided a lovely setting for the young and old in our family. My 90-year old dad frequented his favorite spot on both the oceanfront and street-side porches where views of the beach and Banks Channel provided endless entertainment. Happy hour and sunsets were always spectacular especially from the rooftop. We've stayed in some lovely homes at Wrightsville Beach but none more relaxing or memorable as Seagrass. Thank you, owners, for sharing this wonderful house. We had a wonderful week with our kids & grandkids. Our Fabulous Week at our "Second Home"
We have been renting this house for many years. We love the homey feel and look, the beautiful views, and the quiet beach. We truly feel that it is our second home. We'll keep coming as long as we are able! Cathy- We are happy to hear your week was fabulous! Look forward to having you visit for years to come! Another fabulous week at Seagrass! The weather was perfect: no rain, mid-80's, low humidity and a full moon. We spent almost as much time sitting on the porches as we did inside. Thank you for sharing this lovely home. Brenda- Sounds like a fabulous week indeed! Hope you'll visit again soon! This was our 8th family vacation in the Seagrass. This is a time for us to get reacquainted on neutral turf. The house - the place all help. Robert- Glad to hear everyone enjoyed!! See you next year!